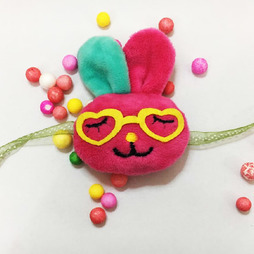 Looking for the best rakhi shop online to send rakhis to India? 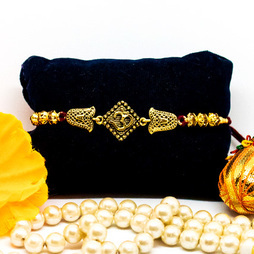 Then check out the IndiaGift online rakhi store and shop for rakhis. 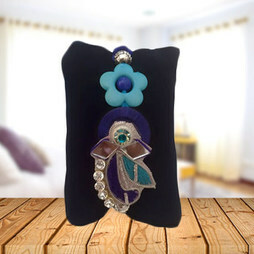 We have a great collection of rakhis for all taste. 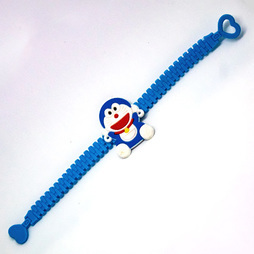 Choose the kind of rakhi your brother will like and ensure he feels special. 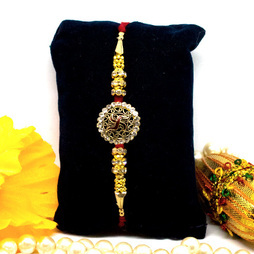 At Indiagift, we deliver the rakhi that you see and ensure it is the exactly same rakhi as chosen by sister. Find the best rakhi for brother for Rakhi 2017 and send Rakhi to India. 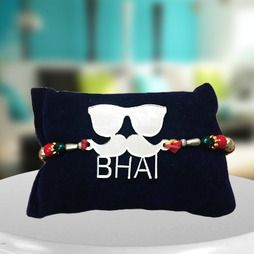 We have suitable rakhis for brothers of all ages. 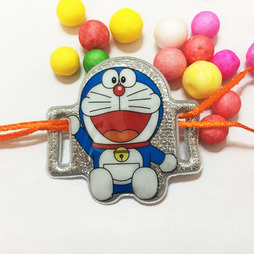 You can choose from rakhi for kids or choose for ornamental rakhis or kundan rakhis or fancy rakhis. 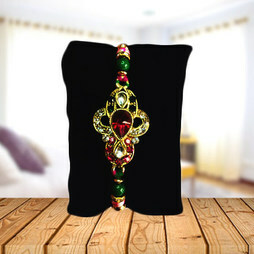 Take your pick for rakhis from our inexhaustive online rakhi store and shop for rakhis to India. Our rakhis for brothers are the best in India. So send rakhis now and ensure timely rakhi delivery. 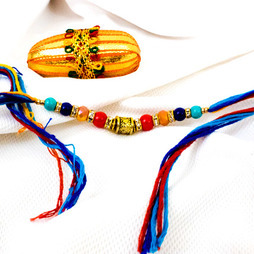 Why order Single Rakhi from the Indiagift Online Rakhi store? 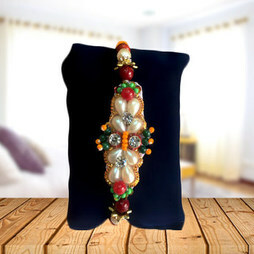 Inexhaustive collection- At Indiagift we have compiled a great collection of Rakhis consiting of Thread rakhis, pearl rakhis, diamonte rakhis, rudraksha rakhi, Om Rakhi, Ek Onkar Rakhi, Kundan Rakhi, bhaiya bhabhi sets and rakhi combos. Exact same rakhi gift delivery- You get what you choose. With the Indiagift rakhi delivery service you don't need to worry about getting something else than the pretty rakhi you see online. 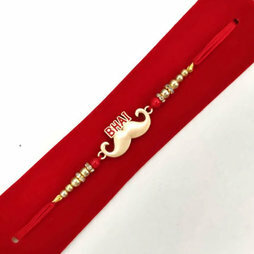 We ensure your brother gets that exact same rakhi that you choose from our online rakhi shop at indiagift.in. 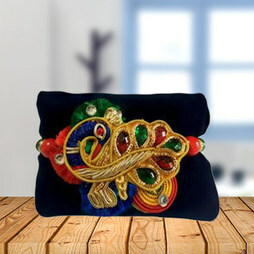 Best packing and add on facilities available- You can now choose to get your rakhis and rakhi sets gift packed in style so your rakhis are delivered safely to your brother. You can also add on various other rakhi gifts like chocolates, fancy roli chawal, fancy box pack, additional loombas, exquisite nariyal etc. 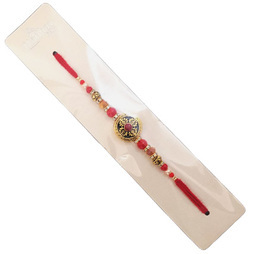 Guaranteed delivery prior to Rakhi- For Rakshabandhan 2018, you can rely on your rakhis getting delivered on time for your brother to receive them before 26th August. We will ensure that all rakhi orders are delivered to various locations in India prior to the festival.